Travel-Office A 3G/UMTS module and a long battery runtime make this laptop to a true traveler. Moreover, security features such as a fingerprint sensor or a SmartCard reader qualify the TravelMate as a business notebook. Does the solid computer have hidden weaknesses? Acer's TravelMate range doesn't stand for a specific notebook category, but is rather diverse. 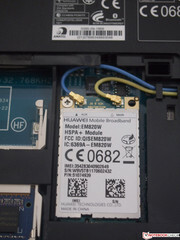 Both subnotebooks and multimedia machines with a dedicated graphics card or even business laptops, such as the Acer TravelMate 6595-2524G50Mikk presented here, can be found under this label. Just a glance around the case reveals the target group it's aimed at: Business users who need a plus on security in their notebook - A fingerprint sensor can be discovered on the touchpad and a SmartCard reader is located on the left. 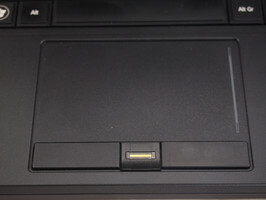 A 34 mm ExpressCard slot isn't necessarily common in all notebooks. It provides an additional extensibility in addition to the compulsory USB ports. 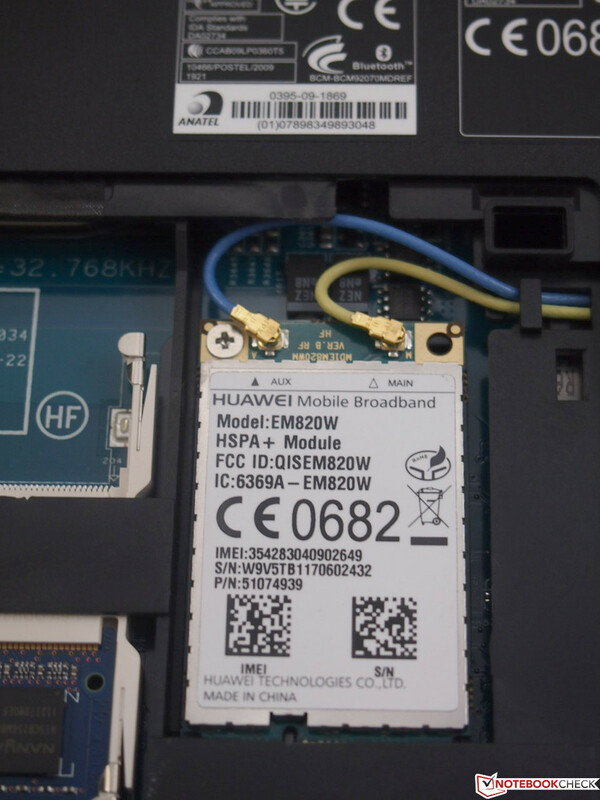 It's only a small "3G" sticker that points to an internal 3G/UMTS module since the SIM card is hidden in the battery compartment. The fast dual-core processor, Intel Core i5 2520M is the heart of the TravelMate 6595. 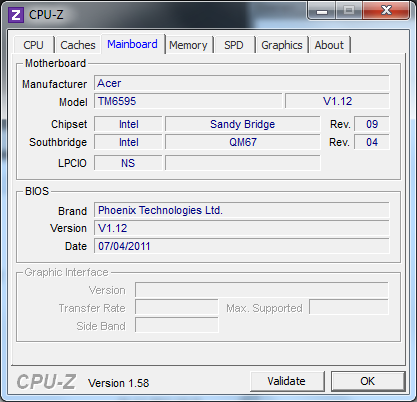 Introduced at the beginning of 2011, it belonged to the upper range CPUs of the Sandy Bridge architecture at the time and is still up-to-date in terms of performance. Just like the 4 GB of RAM and the 500 GB hard disk. 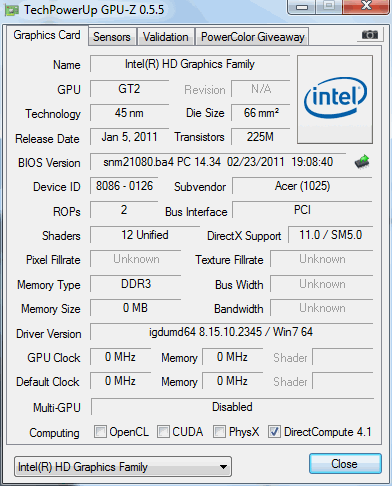 The Intel HD Graphics HD 3000 unit is integrated on the chipset. Its performance level is approximately on a par with an Nvidia Geforce 310M entry-level graphics card and is thus not very suitable for gaming or for 3D applications in general. The TravelMate 6595-2524G50Mikk is the only model with a UMTS modem. Other versions have the same configuration without UMTS. In return, they have a slightly larger hard disk (640 GB rather than 500 GB) or a stronger, dedicated graphics card in form of a GeForce GT 540M. Less is more - the TravelMates are known for that. The design is made in a plain black and gray - without any visible embellishments. At most, the diagonally brushed aluminum of the display lid shimmers subtly and gives the business model a slightly elegant appearance. However, it is very susceptible for fingerprints that can only be removed with a lot of difficulty. It took a long time to polish the marks into invisibility on the metal even with a good micro-fiber cloth. Nevertheless, the manufacturing quality of the case is beyond reproach - no assembled part wobbles or fits loosely on the notebook. The display's hinges keep the screen stably in position even during light vibrations and hardly allow it to teeter – and yet the lid can be opened comfortably with only one hand. A latch has become rare in modern notebooks and would also be unnecessary in this case thanks to the stable hinges. Four thick, rectangular rubber feet jut out of the bottom. They allow the vents to "breathe" and additionally give the device a secure stand. The TravelMate's battery can be easily taken out by releasing a latch. This also enables accessing the aforementioned SIM card slot that is needed for mobile Internet. Another nifty function is the mechanical release for opening the DVD drive. Thus, data carriers can be taken out or inserted into the laptop even when it's turned off. Acer isn't stingy when it comes to equipping the TravelMate 6595-2524G50Mikk. The notebook really doesn't suffer from a lack of interfaces. In addition to the two compulsory USB 2.0 ports on the right, USB 3.0 is also installed. As in most notebooks, they are placed very close to each other so that bulkier USB flash drives or connectors can't be connected side by side at the same time. Moreover, the LAN socket and the slot for a Kensington lock are located on the right, which is almost standard for notebooks in the meantime. The VGA and HDMI port are installed on the left and common even for the lowest priced devices. Not however the eSATA/USB 2.0 combo, the 34 mm ExpressCard slot or the SmartCard reader, which are all available on the TravelMate. In addition to three status LEDs, two audio jacks for headphone and microphone are located on the device's front. The SD card reader is in the center and a slider for enabling / disabling wifi and the UMTS module is on the right. A simple 1.3 megapixel webcam as well as small holes for the internal microphone are located above the screen. An additional LED that shows the camera status would have been practical here. Acer hasn't installed software that would turn the webcam on and off via a tray icon either. Thus, the user has no way to determine if it's on or not. To avoid unpleasant surprises, for example in Skype, etc., the video settings should always be checked. The docking station port is found on the laptop's bottom beneath a rubber cover. The TravelMate is compatible with the Acer ProDock LC.DCK0A. In addition to interfaces that are on the notebook, it also adds six more USB 2.0 ports and a DVI video out, among others. The docking station is available for a street price of around EUR 170. The internal 3G/UMTS module is already a big plus for mobility. It is still omitted in many notebooks and has to frequently be solved with a USB flash drive or via tethering with a smartphone. Wifi with the common standards 802.11 a/b/g/n is of course also available. Bluetooth version 2.1 is also present. Although the specification 4.0 has been available since the end of 2009, the version 2.1 and 3.0 modules are still built into most laptops. However, the 2.1 standard is fully sufficient for occasional data transfer or connecting to wireless headphones - the new versions only have a marginal advantage here. Business laptops stand out with additional security features - the TravelMate 6595-2524G50Mikk is no exception. A fingerprint scanner provides biometric protection and, like the SmartCard, can be used for securing the Windows login. Acer has installed the software "ProShield" that features pre-boot authentication and requires the user to confirm the password. The TravelMate comes with Windows 7 Professional 64bit. In addition to various bloatware, the user also gets Microsoft Office Starter 2010, which is a stripped-down version that only includes Word and Office along with adware pop-ups. Users who don't want to activate the fee-based full version can find numerous alternatives without ads and for free, for example OpenOffice or LibreOffice. Also, CDs and DVDs can be burnt with the shareware "NTI Media Maker 9". However, it's also necessary to activate it or look for an alternative after the 60 day trial period. 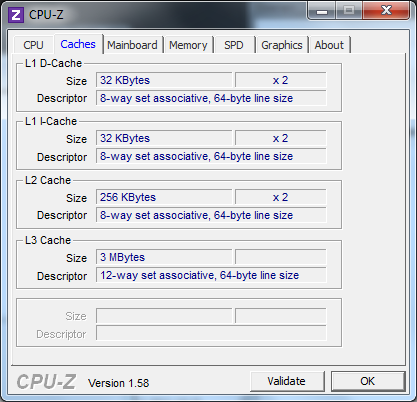 For example, DeepBurner or CDBurner XP represent free and unlimited burning software which work. It's not possible to access RAM, wifi or UMTS module without a screwdriver. The cover of the internal components has to be removed. Subsequently, it's even for an inexperienced user quite easy to replace hard disk and RAM. 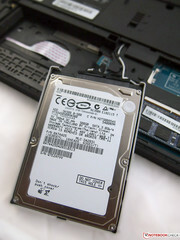 The hard disk is fastened on a plastic frame with screws and wedged into the corresponding slot with a strip of foam. The RAM slots are arranged opposite of one another and not stacked as seen on many other notebooks. This facilitates access to the single memory modules as well as their cooling. Acer delivers the TravelMate with its standard notebook warranty, so a 2 year carry-in warranty in this case. The first year also includes international travelers insurance. Carry-in means that a defect device has to either be brought to an authorized dealer or be sent in. The manufacturer additionally offers several warranty extensions on its website. They range between EUR 79 and EUR 179 and extend the warranty services to 3 up to 4 years. Regrettably none of them include a pick-up & return service for the notebook that many other manufacturers frequently offer. The notebook's keyboard can be described briefly as basic and good. It is a full-fledged keyboard with a number pad that even includes additional euro and dollar sign keys beside the arrows – and thus appropriate for the model's business alignment. The key drop is clear and not too spongy and the typing noise always stays in the background, although it's audible. Even longer typing sessions are pleasant with the wide keys. Notebook typical functions via FN switching are distributed over the entire layout. Thus, volume and screen brightness can be controlled with the arrow keys while multimedia functions, such as start, stop and skip, are located above the number pad. 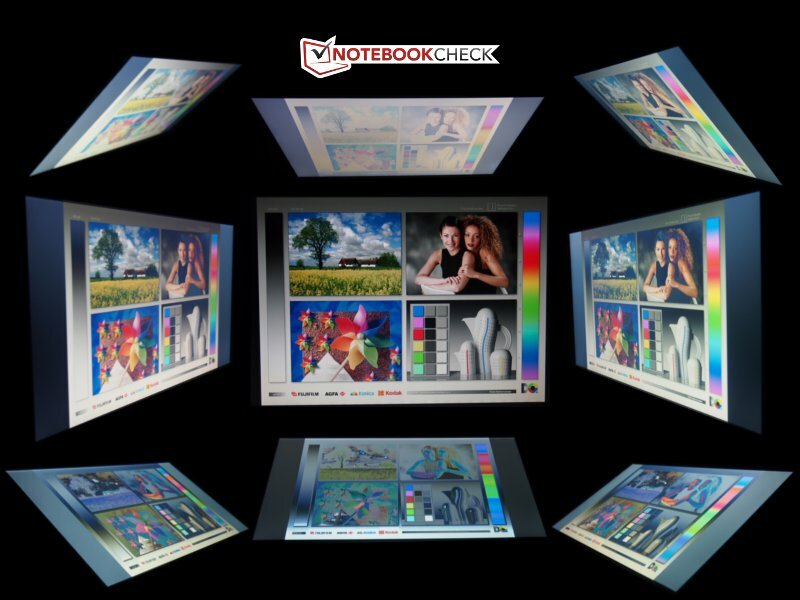 Not every notebook has a screen-off function which is reactivated after keyboard or cursor activity. Additional keys outside the actual keyboard layout are located on the upper right beside the power button. 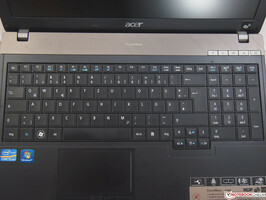 The P-key can be mapped with any preferred program, another one opens the so-called InstantView Manager - a kind of notepad, the third calls up the "Acer Backup Manager" and the last key turns the internal microphone on and off. The touchpad is generously sized with a dimension of 104 mm x 62 mm and has the same matt surface as the wrist rest area. The finger glides easily and pleasantly over the touchpad. It also supports several multi-touch gestures such as two finger zoom or scrolling in a browser window. These can be added or changed via the Synaptics-tray icon. Additionally, it's possible to scroll with one finger at the pad's right edge. The TravelMate 6595 sports a 15.6 inch and matte screen with standard LED backlight. It has a maximum resolution of 1366 x 768 pixels. The biggest advantage of a matte screen is the higher outdoor suitability compared with reflective glare-type displays. But the matte screen is the only positive thing that can be said about this display. Almost all measured laboratory rates are below average. Serious work outdoors can't even be considered with an average brightness of 155 cd/m2. The contrast ratio of 142:1 is disproportionately low for this price range. And the black value of 1.18 cd/m2 lets black look rather gray. 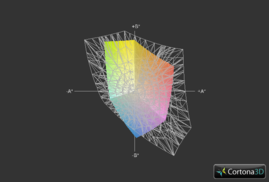 We checked the sRGB and AdobeRGB color spectrum for the sake of completeness. They are just as moderate. In contrast to the other qualities, this will likely only be of interest to professional graphic designers. The viewing angles also back the poor impression. Image fading, respectively inverting is quickly noticed on the vertical plane. The image only stays a bit more stable horizontally. Nevertheless, watching a movie won't be a pleasure for more than one person because the different viewing angles would falsify the picture. An external display, such as an additional monitor or projector, can be operated either via the VGA or HDMI socket without problems. Even a Full HD resolution is possible with the corresponding devices. As a whole, the screen is disappointing because the TravelMate is targeted at demanding users with its otherwise lush equipment and can't meet these expectations in this point. We would have expected more from a EUR 900 business device. An Intel Core i5 processor from the Sandy Bridge generation is responsible for sheer computing power. The TravelMate 6595-2524G50Mikk is powered by an Intel Core i5 2520M, which belongs to the upper midrange of mobile processors. 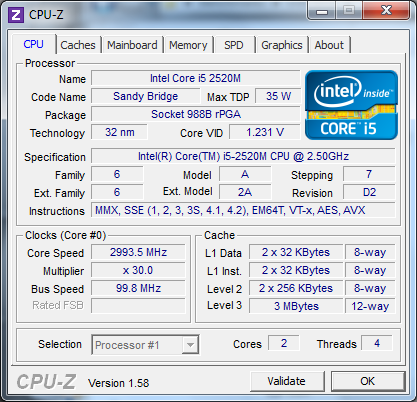 Its two cores run with a base clock of 2.5 GHz. Two virtual cores are added via Hyper Threading and both cores can be clocked up to 3 GHz; a single core up to 3.2 GHz (automatically) with Turbo Boost. 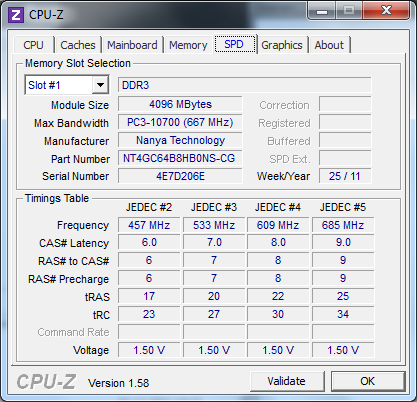 Like all current i5 dual-cores, the 2520M is specified with a TDP of 35 watts. The Intel HD Graphics 3000 unit is integrated in the processor chipset. The TravelMate 6595-2524G50Mikk doesn't have a dedicated graphics solution, as for example other TravelMates of the 6595 range. We determined the CPU performance with the Cinebench R10 and R11.5 benchmarks. Compared with other business notebooks, the TravelMate 6595 is quite impressive. The EUR 200 more expensive Acer TravelMate TimelineX 8573TG-2624G64Mnkk only has a slight lead on our device in all scores. However, it also has the stronger Intel Core i7 2620M processor. The Lenovo ThinkPad L420 NYV4UGE is equipped with the same CPU and is on the same price level as our model. As expected, the results are virtually on a par. The same is true when we compare the Samsung Series 6 600B5B-S01DE - also with the same processor. The benchmarks from PCMark Vantage and 7 provide a comprehensive benchmark for assessing the overall performance. The aforementioned TimelineX defeated our TravelMate by 1000 points in the Vantage benchmark with its i7 processor. However, it scored marginally better than the TimelineX in the PCMark 7 version. 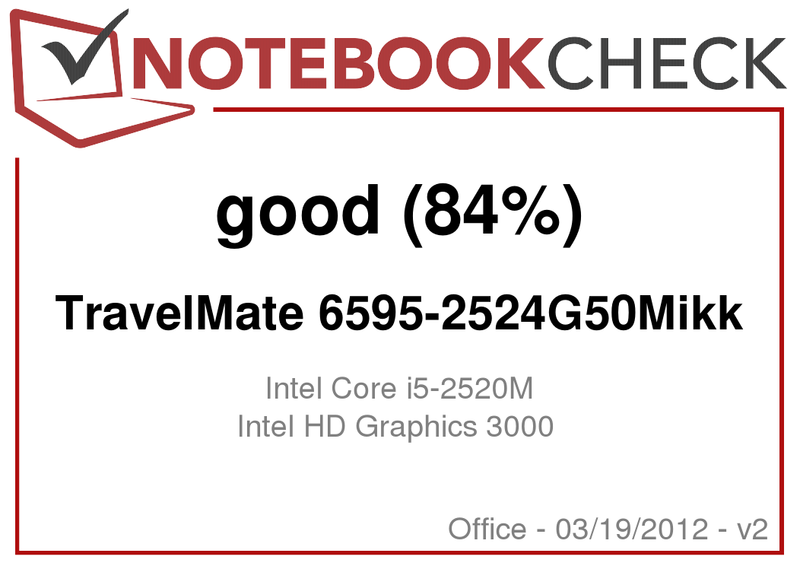 It looks similar in the comparison with the other two mentioned models, the Lenovo ThinkPad and the Samsung Series 6 - the TravelMate 6595 always has the lead with 2016 points in PCMark7. A Hitachi hard disk (HTS545050B9A300) with a capacity of 500 GB is built into the TravelMate. The 2.5 inch disk spins with 5400 revolutions per minute and has an 8 MB cache. The manufacturer states a weight of 159 grams and specifies a read and write power consumption of 1.4 watts. 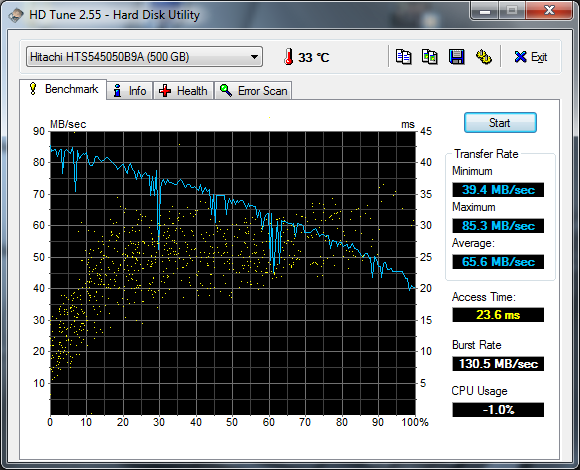 The average transfer rate of 65.6 MB/s measured with HDTune is pretty moderate, just like the maximum of 85.3 MB/s. Being a CPU integrated graphics solution, the Intel HD Graphics 3000 can't exactly boast with 3D performance. It is sooner designed to render a picture using as little power as possible. We nevertheless ran the TravelMate 6595 through the 3DMark benchmarks for comparison. With 3724 points, the Acer notebook achieves the best results among the notebooks with the same CPU and GPU that don't have an additional graphics card in the 3DMark06 benchmarks. For example, the Lenovo ThinkPad L420 only manages poor 2528 points. 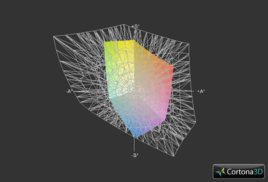 Nevertheless, the 3D performance is quite weak. All other models with a dedicated GeForce or Radeon graphics outdo the TravelMate many times over. A really good gaming performance can't really be expected from the weak Intel graphics unit, which also only supports DirectX 10. We tried a few slightly older games anyhow. Up-to-date games that feature lavish graphics would hardly be playable to begin with. Starcraft 2 is always a good indicator for more basic games. It ran smoothly with 69 frames per second (fps) in a resolution of 1024 x 768 pixels and low graphic settings. However, the strategy game becomes next to unplayable with 16 fps in the screen's native resolution and medium graphic settings. A good and quite playable compromise is however the native resolution with low graphic details. Deus Ex Human Revolution is a story shooter from last year, which offers a choice between the DirectX versions 10 and 11. This decision is made by our graphics chip as it only supports DirectX 10. The test resulted in an almost unplayable fps rate: An average of 28 fps is simply too little for a shooter game where speed and accuracy are important. The virtually non-existent gaming performance won't likely bother the addressed target group of business users anyway. Those who want to play an occasional game should take a model with a dedicated graphics card. An affordable alternative for this purpose would be for example the Acer TravelMate 5760G-2454G50Mnsk, which saves on connectivity but sports a GeForce GT 540M and even has a lower street price than our TravelMate in return. Devices with a Geforce GT 555M, GTX 560M or higher can first be called a gaming notebook in good conscience. The first thing we notice is that the fan is virtually permanently active. It can be quietly heard even in idling when the CPU runs with energy-saving 800 MHz; and the hard disk is also audible every now and again. Our decibel measurement confirms this - the Acer TravelMate isn't exactly an ultra-quiet model with a minimum of 32 dB even when idling. However, it stays in the background when it's not loaded significantly. Although the fan only runs sporadically and at full speed under full load (stress test), we measured a fairly loud rate of 44 dB. Its sudden startup makes us jump almost every time. However, this state will hardly ever be reached in practical use. A fan that runs most of the time should also always keep a laptop pleasantly cool. We could use the TravelMate 6595 on the lap without problems in our practical test. The processor's sensor recorded a temperature of up to 90 degrees Celsius during the stress test with Prime95 and FurMark. 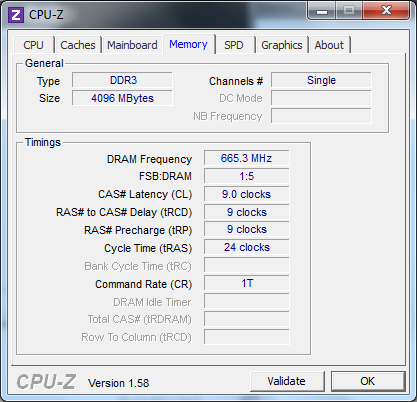 The CPU's clock rate varied between 2.5 and 3.0 GHz and one core even occasionally clocked up to 3.2 GHz. The device didn't get unpleasantly warm even under several minutes of simulated full load - despite full Turbo Boost. The moderate temperature rates from our laboratory measurements confirm that. The maximum measured temperature was a fairly warm 41 degrees Celsius beneath the touchpad. However, an average of 32 degrees puts this high rate into perspective. (+) In idle usage, the average temperature for the upper side is 23.6 °C / 74 F, compared to the device average of 29.4 °C / 85 F.
As expected, the TravelMate's sound isn't imperatively suitable for listening to music. The sound can be compared to that of a somewhat higher quality telephone: not much volume and virtually no existing basses. The little speaker installed in the notebook is at most enough for acoustic system messages. If you want more, you can remedy this with a pair of simple active speakers or good headphones. The notebook sooner belongs to the energy-efficient models in view of approximately 7 - 10 watts when idling. The 65 watt power adapter is also sufficiently designed for the measured maximum consumption of approximately 54 watts. If you can live without an energy-consuming dedicated graphics card, you'll find a frugal device in the TravelMate 6595. Even if other TravelMates, such as the TimelineX 8481TG are equipped with a large 8 cell battery with a capacity of 87 Wh, our model sports a 6 cell lithium ion battery and 66 Wh runs for about the same time. The maximum possible battery runtime is measured with the tool BatteryEater's Reader's test. A document ran over the screen for a whole 8 hours and 29 minutes with all energy saving options on and Bluetooth, UMTS and wifi modules off. For comparison: The Lenovo ThinkPad L420 only manages 6 hours and 44 minutes with the same processor and battery. You can surf via wifi for approximately good 5 hours on medium screen brightness. We simulated this with a browser script that opens different websites in regular intervals. The classic test puts the system under full load, and the TravelMate's battery still lasted for 1 hour and 50 minutes with full screen brightness and all modules on. A true traveler: An internal 3G/UMTS module pleases us and is overdue in other models in an era of affordable mobile Internet. This detail is also likely the TravelMate 6595-2524G50Mikk's most striking feature. It's possible to surf on the Internet for quite a long time thanks to the rather good battery runtime. It is solely the 15 inch screen that mars the Acer notebook's almost perfect mobility. Although it is a matte screen, working on the notebook is no fun due to the weak screen brightness and the below average contrast. The connectivity is worthy of a business laptop. Not only does it have a cutting edge USB 3.0, an eSATA and a 34 mm ExpressCard slot, there is even a port for a docking station on the bottom. Beyond that, an Intel Core i5 2520M supplies good, up-to-date processing power and has an integrated graphics on the chipset and thus saves energy. Multiple opened Office programs won't force the notebook to break down either. The TravelMate exhibits a plain as elegant design, flawless manufacturing and a robust case - and seen as a whole, it quite lives up to the targeted group of demanding users. If you can turn a blind eye to the screen, the street price of around EUR 900 also seems fair. An internal UMTS module is a plus on mobility. A screen that is worthy of an almost EUR 1000 device. The battery runtime is quite good. The Lenovo ThinkPad L420 has the same CPU and similar equipment. Less expensive and with a slightly weaker CPU, but with a dedicated Nvidia graphics: the TravelMate 5760G.